Solar eclipse on Saturn through his moon Rhea. April 13th, 2009, 20h UT. Sketch with 406mm Newton, 389X. North is up. 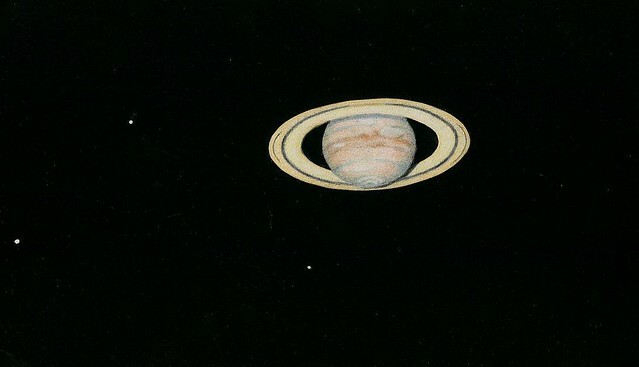 Posted in Colored Pencil, Planets, Saturn.